Solos and etudes study book for viola with piano accompaniment. 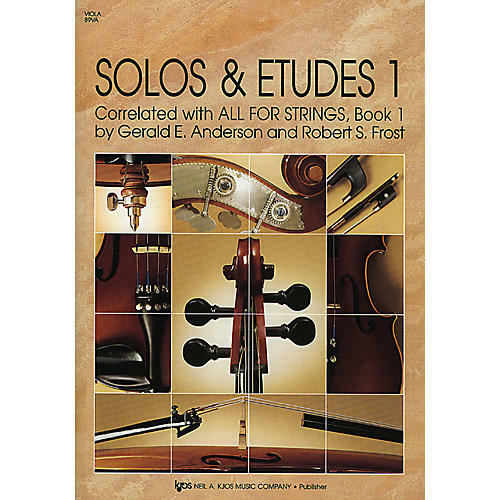 Solos and Etudes Book 1 contains solos and etudes for the string class, and are written in unison format for Violin, Viola, Cello, and String Bass. This is the viola part within the series. These supplements feature exercises designed to reinforce technical development, and to also provide material for musical growth and enrichment. Featured composers include Bach, Brahms, Dancla, Dotzauer, Grieg, Haydn, Kummer, Lee, Rebikoff, Telemann, Werner, Wohlfahrt and more. Order today and practice beautiful solos and etudes with your pianist.